INDUSTRY.co.id - Jakarta - PT Pertamina (Persero) Marketing Operation Region VI adds 500,000 subsidized LPG (3 Kilograms) to 5 provinces in Kalimantan in early December 2017. "We ensure that the three kg LPG supply in Kalimantan is sufficient, therefore consumers do not need to panic and are expected to buy properly," said General Manager of Marketing Operation Region VI Pertamina Made Adi Putra in a release in Jakarta on Sunday (10/12/2017). According to him, the availability of LPG in the community will continue to be monitored and can be added at any time as needed. For Kalimantan, the normal requirement reaches 320 thousand tubes per day. Made added, the supply of LPG 12 kg and Bright Gas 5.5 Kg also added 20% of normal needs. The normal need of Bright Gas 5.5 kg in Kalimantan is 4,800 tubes per day and raised to 5,760 tubes per day, while the 12 kg LPG is increased from 6,000 to 7,200 tubes per day. Made appealed to the public is entitled to three kg of subsidized LPG to buy at the base to match the highest retail price (HET). "We also appeal to consumers who are not entitled to subsidies, using non-subsidized LPG to support the realization of targeted subsidies," he said. According to him, for consumers not entitled to subsidies such as households and restaurants not micro, Pertamina has prepared LPG 12 kg, Bright Gas 5.5 kg, and LPG 50 kg. Currently, the product is already available in LPG agents, gas stations, and minimarkets. Made invites consumers to switch to nonsubsidized LPG by holding a tube exchange program from three kg LPG to Bright Gas 5.5 kg. 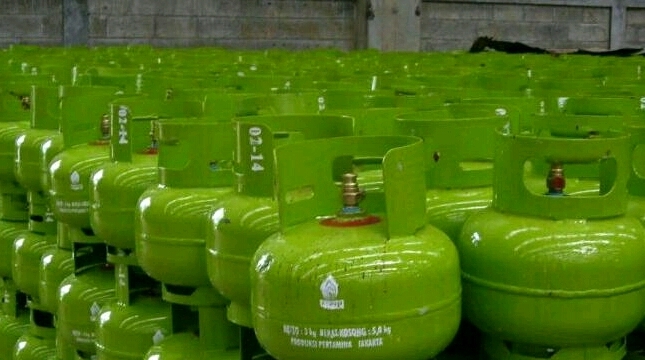 "Every two tubes of 3 kg of LPG can be exchanged with Bright Gas 5.5 kg with only add money around Rp100 thousand depending on location and exchange of one tube three kg plus money about Rp220 thousand," said Made.